The blogger vs. professional thing has been done to death, and I'm sure I don't need to go over old ground. Long story short, you stick with anyone who's opinions you trust, and both your bloggers and your paid critics have a duty to reveal any freebies, special treatment or otherwise, just so everyone knows what the deal is. Policy here on Cheese and Biscuits is to not leave a numbered score beneath any free events or invitations to review - as well, of course, as making it clear in the text that said event was gratis. But I think it's important not to be overly apologetic, and also not to try and overcompensate and be more harsh than you would be normally just because a meal has been paid for. It's stressful, though, accepting an invitation to review. At least, I find it is. No matter how much you tell yourself that it was their idea, they wouldn't invite you for a meal if they didn't want honesty, and nobody has anything to gain from a lack of it, there's a moment during a meal - usually just as the starters arrive - when you know instantly whether this is going to be a good or bad meal. The relief when you think it's going well is enormous - and the emotion far greater if you're being treated to it, the owner/managers hovering nervously on the sidelines, watching your every move. Likewise, if a meal turns for the worse, the next few courses can seem like the longest of your life, and with no bill to pay there's no full stop on the evening, so you just slink out after your last glass of wine, hoping nobody will accost you on the way out with the dreaded phrase "So, how was your meal?". I usually just smile and say "You'll have to wait for the review! ", through gritted teeth. 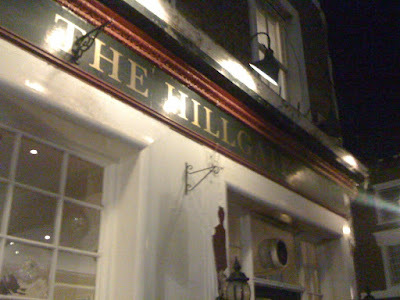 The Hillgate, just around the back of Notting Hill Gate tube station, is not a bad pub. It is sensitively refurbished (with particularly nice toilets), atmospheric with its tea lights and large wooden furniture, and the waiting staff are friendly and competent. And I know I'm spoiled and speaking with the advantage of a geeky mental list of anywhere Michelin-starred or otherwise notable, and I should probably be a bit more realistic about the options available to your average gastropub punter who isn't about to travel halfway across town for a slightly better Scotch Egg and really doesn't give a crap if their risotto is a bit starchy, but I'm sorry, I do. And the problem for the Hillgate is that despite it not being awful, it's still fighting a losing battle against much better pubs for the same price in the city, places like the Harwood Arms and the Cadogan Arms and the Bull and Last and so on and so on. If you don't measure up to the competition, you deserve everything you have coming to you. So, the dreaded starter. In fairness, my Warm Bacon Salad was as good as you could expect to get in many places. 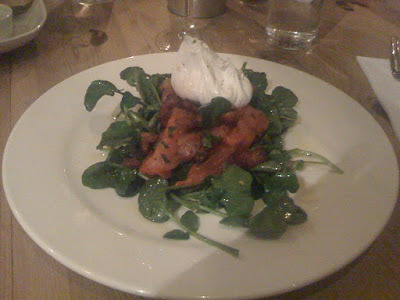 The seasoning was a bit muted, the bacon a little bit on the floppy side, and the poached egg quite bland. But it was still edible, and was a nicely judged portion size. And my dining companions did much better with their sautéed mackerel and beetroot, which was cooked perfectly with a crispy skin and soft white flesh. It also displays a level of ambition above the average when a place has more than one hot starter. I'm afraid I didn't enjoy my main course much at all. 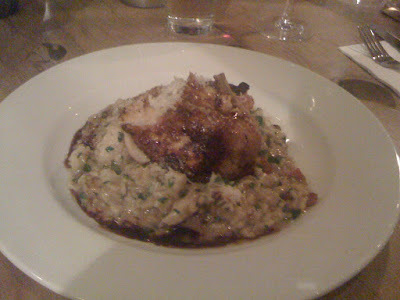 A messy pile of risotto, with God knows how many different ingredients lurking in the mix (bacon, celeriac and cauliflower were listed on the menu, though I'm sure there were more), was the base for a dried out and chewy supreme of chicken. The risotto had also been laced with a reduced stock of some kind, and the flavours were overwhelmingly confusing, like the chef had just tipped out the contents of his fridge into the pan and plonked last night's leftover chicken on top. Although I should say - again - that although a bavette steak was rather bland it had been cooked well and served with nice enough chips. Desserts were similarly middle of the road, with a pretty mediocre chocolate ice cream and a slightly better creamy rhubarb trifle thing ("chantilly"). Hardly anything to get the pulses racing, and I got the impression they were a bit of an afterthought. 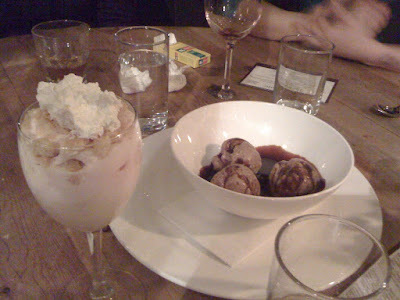 But then I suppose gastropub desserts often are. I will repeat that the Hillgate is not a bad pub. You can do a lot, lot worse in London and if you were lucky with your choices and overlooked the odd slip here and there, you could probably construct yourself a nice enough evening. But you can also do a lot better, and I can't see why, if you found yourself hungry out West, you wouldn't just walk up to Hereford Road or the Cow on Westbourne Grove. But then, perhaps that's just me. I was invited to review the Hillgate. Accurate review Chris. The setting was pleasant and I'd be happy to go back for a few beers, but was underwhelmed by the food. I don't think it really matters too much whether you pay for it or not, the taste of the food doesn't change. I guess it's just down to whether you feel you should be more generous in a review because they've given you a meal for free. I liked this review - wish more could be as honest re: free dinners. It sounds like the place is a pub with food, rather that a gastropub. And that's not a bad thing as you rightly say, just not a place to go if food is top of your personal agenda. Hope that's the message you were aiming for. I kinda knew where this was heading when you mentioned the 'particularly nice toilets'. Got my first invite to review the other day... exciting and terrifying in the same gasp. Definitely think honesty is the best policy in these things though. Honest and frank, I think that's what we should all be aiming for in our reviews, particularly when invited or paid for. Well said, Pople. I am disappointed in myself for not having the nerve to order the Thai sweet potato and aubergine curry. To be fair to them, I really enjoyed my mackerel starter. Yes, as soon as you mentioned that the toilets were nice, my heart sank for this pub. Seems like a very fair review. 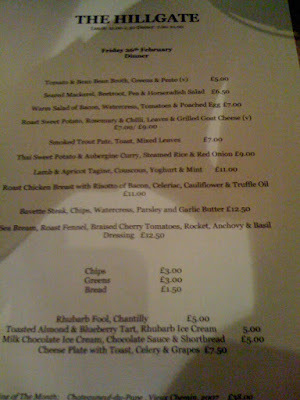 I wish I could be so lucky - I was invited to review a restaurant the other day on behalf of my Student newspaper. Although I complemented the food, there were a few fair criticisms here and there which the editor promptly axed so the restaurant appeared 'flawless'. A fix if ever I saw one! green drawers: Yes that's more or less it. 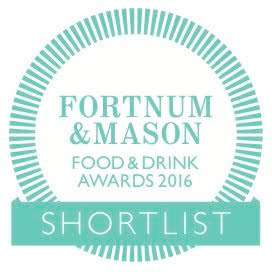 It's fine as a pub, but they invited me to review the food, which is much better elsewhere. Lizzie: Yes I was sure to mention that. I bet that curry would have been... interesting. Salt Well: How irritating. This is the problem with local or budget rags - they're so dependent on advertising they can't really afford to be nasty about anywhere. Even the Liverpool Echo suffers from "everywhere is great" syndrome. I ate here a couple of weeks ago and really enjoyed the food. No, it's clearly not aimed at the gastropub end of things, but for reasonably priced pub food it's a hell of a lot better than most you would find out there. Particularly impressive was the service of the French owner / manager - he made sure we were comfortable, and his charm made the whole evening a memorable one - I'd definitely go back. Of course, your point about being invited to review the food - and not the pub / service - is an important distinction to make. In the end, though, given your review is entitled 'The Hillgate', it'd be more balanced to review the pub as a whole rather than just be disparaging about the food. TomF: Your comment makes no sense at all. I'm a food blogger. Why on earth would I be invited to review a gastropub (which is, by the way, what it's trying to be) and then say 'well the food's mediocre but they do a nice pint of Stella. 8/10.'? And being 'better than most' is definitely not a recommendation for Notting Hill. Let's not ignore the elephant in the room here - your overly gushing praise has a slight hint of the shill to it. Are you connected to the Hillgate in any way?